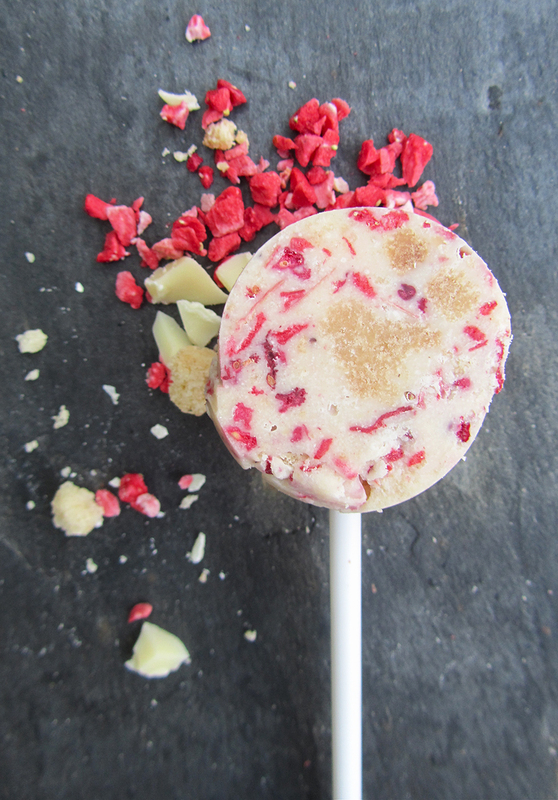 My Strawberry Love Pops are made up from all the left over ingredients I had from creating my Shortbread Strawberry Hearts. Broken up bits of vanilla shortbread, freeze dried strawberry pieces and the cut off remains from creating my dried strawberry hearts are all combined together within a mass of melted white chocolate to create a sweet and fruity shortbread concoction. 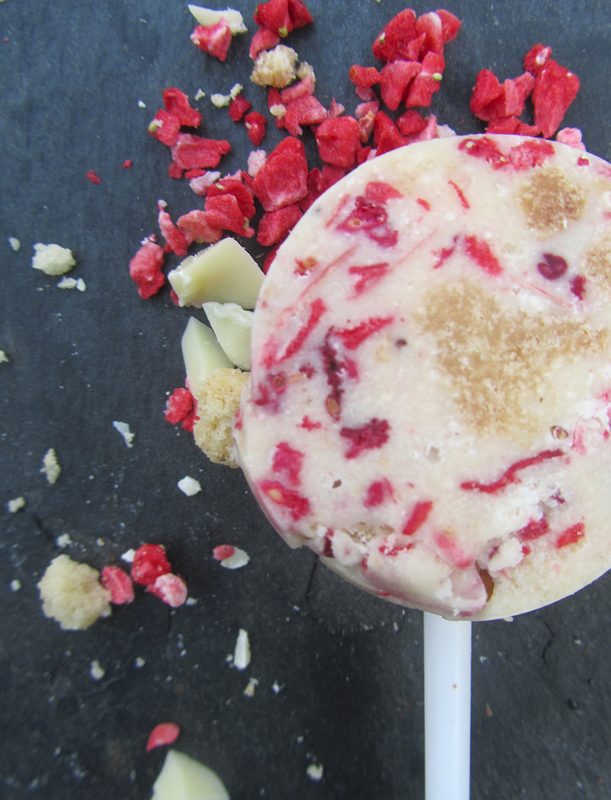 Turned lovingly into lollipops with the aid of a cake pop mould they become a sweet treat on a stick. Eaten in one bite or bitten off in chunks the lollipops can also be sliced into discs, revealing a striking abstract cross section almost like sweet salami. In the case of the one pictured above a piece of shortbread fortuitously revealed itself into the shape of a heart. It must be love. All work © Frances Quinn 2015 unless otherwise stated.